Pitcher Charlie Bell was a lifelong Cincinnatian, but his tenure in hometown baseball livery was confined to a single game — his final major-league appearance in July 1891. But that game was hardly Bell's last appearance in a Cincinnati uniform. Beginning around 1898 and for close to 30 years thereafter, Bell proudly wore the blue of the Cincinnati Police Department. Before he found his life's calling, however, Charlie had pursued a career in professional baseball, and secured his place in the game's reference works with a 13-game stint in the American Association — a big-league playing experience distinguished mostly by the fact that it was three games longer than that of his older brother, Frank, an AA catcher. Our subject was born Charles C. Bell in Cincinnati on August 12, 1868. He was the fourth of six children1 born to horse dealer Louis Bell (1835-1917), and his wife, the former Sarah Hinkley (1840-1912), both Ohio natives. Charlie's middle name remains undiscovered, and little is known about his early years including the extent of his schooling, baseball beginnings, and/or youthful employment. In 1889, as a 20-year-old, he entered the ranks of diamond professionals, signing a contract with the Springfield (Illinois) Senators of the Central Interstate Association.2 There for a brief time, he formed a sibling battery with brother Frank Bell.3 Reputed to possess "terrific speed and an in-shoot which is a puzzler,"4 right-hander Charlie Bell was expected to make his mark in the pitcher's box. Yet, he made his pro debut as the Springfield right fielder, going hitless in an April 26 game against the Evansville (Indiana) Hoosiers.5 The following day, Bell encored in the pasture. Finally, on April 28, Senators manager Harry Smith handed Bell the ball. He responded with "excellent work," registering a five-hit, 3-2 victory over the Hoosiers. A day later, Bell pitched winning, if less impressive, ball against Evansville in a 28-10 triumph. From then on, he was used more sparingly, eventually posting an 8-9 pitching record for Springfield.6 He also saw occasional duty in the outfield, and batted .143 overall. Nineteenth-century baseball authority David Nemec states that Bell was acquired by the American Association Louisville Colonels that August, but remained on the club's bench until near season's end.7 When the Kansas City Cowboys came to Louisville with a shorthanded squad for the 1889 season's final series, the Colonels loaned Bell to their opponent.8 The youngster made his major-league debut on October 13 in stunning fashion, holding Louisville hitless over the first seven innings. He weakened in the eighth, surrendering a pair of run-scoring triples, and was then undermined by shoddy Kansas City defense in the ninth. But a two-run Cowboys rally made Charlie Bell a 6-5 winner in his maiden big-league effort. Placed in left field the following day by Kansas City, Bell, ordinarily a woeful batsman (a lifetime .105 BA) responded with the most productive afternoon of his professional career. He went 1-for-2 with a run scored and three RBIs against Louisville right-hander John Ewing in a 7-5 Kansas City win. Although he had barely been auditioned by Kansas City, Bell assumed a place in the club's pitching rotation during the postseason when the Cowboys faced the AA St. Louis Browns in the unofficial best-of-seven games Championship of Missouri match. He was a 13-6 loser on October 16, but five days later the Browns "found Bell rather difficult to hit," dropping an 11-5 decision to the youngster.9 On October 26, the tables were turned again, the Browns having "lots of fun hammering [Bell's] balls, he making no apparent effort to pitch"10 in a wind-chilled 18-6 laugher. The following day, Kansas City captured Show Me State bragging rights with a 13-9 triumph that Bell watched from the sidelines. During the offseason, Bell remained on the Sioux City reserve list.19 But his whereabouts/activities during the early 1891 season are unknown. By late May, however, he was back in the American Association, signed by his original major-league employer, the Louisville Colonels.20 Bell arrived from Kansas City by train, and was immediately sent to the box to face the Philadelphia Athletics. He "created a quite good impression and pitched a strong game,"21 only to be undone by the Louisville defense in an 8-5 loss. Bell lost his next two starts, as well, before breaking into the win column with a crisply-pitched 2-1 victory over Baltimore on June 8. The win one/lose three pattern repeated itself thereafter. Then in mid-July, the Colonels, heading for a seventh-place finish, released him.22 In his only extended major-league trial, Bell had gone 2-6, with a 4.68 ERA in 10 games pitched for Louisville. Meanwhile, an injury to hurling mainstay Willard Mains had left Kelly's Killers, the American Association's singularly named new Cincinnati club,23 temporarily short of pitchers. To fill the breach, the Killers signed hometown son Charlie Bell. On July 27 Bell was placed in the box against the same Louisville club that had just jettisoned him, and posted probably the finest single-game marks of his brief major-league career: only two hits surrendered and no earned runs allowed in an 8-2 Cincinnati victory. He never made a second appearance for the Killers, and on August 18, the Cincinnati club disbanded, its place in the AA assumed by the Milwaukee Brewers, formerly of the Western Association. After this, Bell spent the remainder of the 1891 season without a professional engagement. Although Bell was then unaware, his time as a major leaguer was now over. In 12 games pitched,24 he had gone 4-6, with a 3.88 ERA. In 95 innings, Bell allowed 99 base hits, including four homers, and exhibited spotty control: 26 walks and 10 hit batsmen compared to 20 strikeouts. And he had been near-useless as a hitter, posting a career .105/.261/.132 slash line, with five runs scored and four RBIs, total. Still only 23 years old, Charlie sought to continue his baseball career but had trouble finding employment the following season. But in June 1892, he hooked on with the Birmingham (Alabama) Grays of the Southern Association.25 He was victorious in his first start, a 6-2 win over the Mobile Blackbirds on June 15,26 but saw only intermittent action thereafter. He finished the season at 5-4 (.556) for a championship club that went 73-50 (.593) overall. And with that, the curtain came down on the professional baseball days of Charlie Bell. The 1893 season ushered in dramatic changes in the game's rules, including two that affected pitchers. But as far as could be discovered, Bell never assayed the new (60 feet 6 inches) pitching distance or tried his luck from the slab (as opposed to the abolished pitching box). His life, rather, was headed in a new direction, which included, first and foremost, alteration of his domestic situation. That summer, Charlie married a fellow Cincinnatian, 19-year-old Mary Meyer. Their 44-year union would prove childless, but the couple later took on the responsibility of raising niece Bessie Korte. As he had in sport, Charlie followed his late brother Frank's career path in post-baseball endeavor,27 becoming a security guard. In June 1894, the Cincinnati Police Commission approved Bell's appointment as a "private policeman" assigned to duties at the newly opened Fairmount Opera House.28 By 1898, he had been elevated to the ranks of city patrolman, and would serve as a member of the Cincinnati Police Department until retiring in 1925. A late-life sufferer from emphysema, Charles C. Bell died at his Cincinnati home from complications of bronchial pneumonia on February 7, 1937. He was 68. Following funeral services, his remains were interred at Baltimore Pike Cemetery, Cincinnati. Survivors included his wife, Mary, and brother, Lewis. The sources for the biographical information recited above include David Nemec, The Rank and File of 19th Century Major League Baseball: Biographies of 1,084 Players, Owners, Managers and Umpires (Jefferson, North Carolina: McFarland, 2012); US Census data and Bell family posts accessed via Ancestry.com; and certain of the newspaper articles cited below. Unless otherwise noted, stats have been taken from Baseball-Reference and Retrosheet. 1 Charlie's siblings were Mary Ella (born 1859), Frank (1862), Harry (1865), Clarence (1874), and Lewis (1877). 2 As noted in Sporting Life, April 10, 1889. 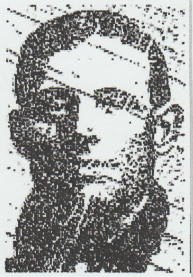 Reportedly, Bell's signing by Springfield manager Harry Smith was based on a recommendation supplied by Cincinnati Reds skipper Gus Schmelz, as per Sporting Life, May 29, 1889. 3 According to Nemec, The Rank and File, 13. In time, Frank Bell returned to Cincinnati, where he worked as a security guard. Frank also served as an emergency American Association umpire and actually called three 1889 games of the Cincinnati Reds. 4 Sporting Life, May 29, 1889. 5 How right-handed-throwing Bell batted is unknown. But the presumption is that he batted the same way as he threw, but was near-helpless at the plate whichever way he hit. Charlie's height/weight is another unknown, but his older brother Frank was a broad-shouldered 6-footer and Charlie worked most of his adult life as an inner-city policeman, not an ideal turn-of-the century occupation for those of slight stature or physique. 6 According to Nemec, 13. Baseball-Reference provides no Springfield pitching stats for Bell. 8 According to the Kansas City Star, October 14, 1889, Charlie signed a Cowboys contract the morning of his start against Louisville, but the game "was only [to be] a trial for Bell." 9 As per the St. Louis Republic, October 22, 1889. 10 As per the Kansas City Times, October 27, 1889. 11 During the 1888 season, the AA Kansas City Cowboys and WA Kansas City Blues had competed for the patronage of local fans. The Blues were the Western Association champions in 1888, but had not taken the field in 1889. 12 Cowboys players who declined the demotion to a minor-league organization were auctioned off to major-league teams, as per David Nemec, The Beer and Whisky League: The Illustrated History of the American Association — Baseball's Renegade Major League (New York: Lyons & Burford, 1994), 186-187. 13 As per Sporting Life, April 5 and 19, 1890. 14 Kansas City Times, May 9, 1890. 15 Sporting Life, August 9, 1890. 16 Kansas City Times, August 3, 1890. Local Sporting Life correspondent Freeman concurred, stating that Bell "will make a good man for somebody. He is released only because Conroy, Swartzel and Smith are in such good trim that [having] five pitchers seems useless." Sporting Life, August 9, 1890. 17 As reported in Sporting Life, August 23 and 30, 1890. 18 Based upon scores published in the (Lincoln) Nebraska State Journal and Omaha World-Herald. 19 As per Sporting Life, February 14, 1891. 20 As reported in Philadelphia Inquirer, May 28, 1891, New York Herald, May 30, 1891, Knoxville Journal, June 1, 1891, and elsewhere. 21 Philadelphia Inquirer, May 28, 1891. 22 As reported in the Trenton Evening Times, July 17, 1891. 23 The nickname was an unofficial homage to the team's player-manager, fading star Mike "King" Kelly, and served to distinguish Cincinnati's American Association club from its erstwhile National League counterpart, the Reds. 24 Bell's 13th major-league game had been spent as an outfielder for the 1889 Kansas City Cowboys. 25 See "Busy Birmingham," Sporting Life, June 18, 1892. 26 As reported in Sporting Life, June 25, 1892. 27 Frank Bell had been fatally shot during a Cincinnati saloon fracas in April 1891. 28 As reported in the Cincinnati Post, June 16, 1894.